illumination Physics is most famous for large-scale custom façade lighting projects. 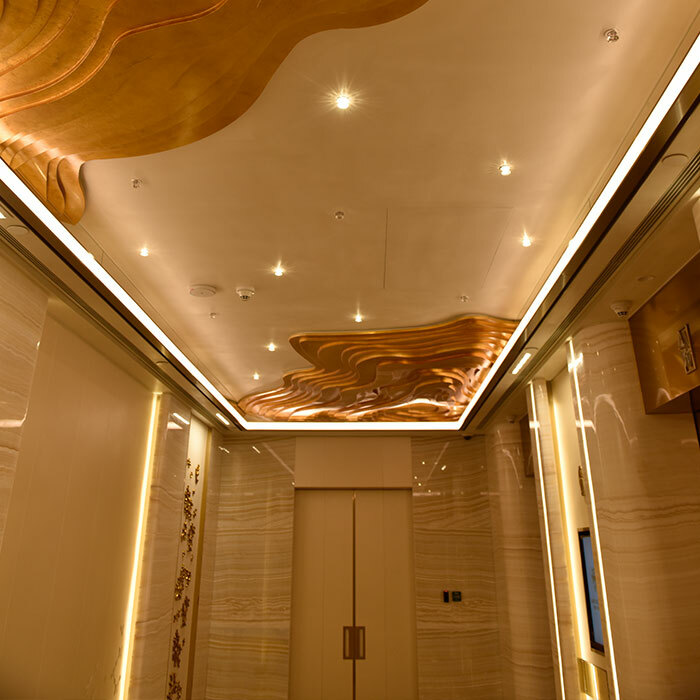 In this example, illumination Physics was able to make a valuable contribution to the refurbishment of one of Macau’s most successful post-hand-over properties - Star World. First opened during the October Golden Week of 2006, Star World was among the first of the modern era gaming resorts built along the historic axis of the Avenida Da Amizade, rubbing shoulders at once with the old establishment licences of the Lisboa and the Invasion from Las Vegas, The Sands and Wynn. Star World, part of the highly successful local Galaxy Entertainment Group, has recently implemented major internal refurbishments and illumination Physics created a novel new luminaire especially for this project. Working with Shop 12, the in-house lighting design company for Steelman and Partners, the idea for an entirely new type of downlight emerged. It would be mounted in the ceiling like a conventional downlight but would be much smaller. 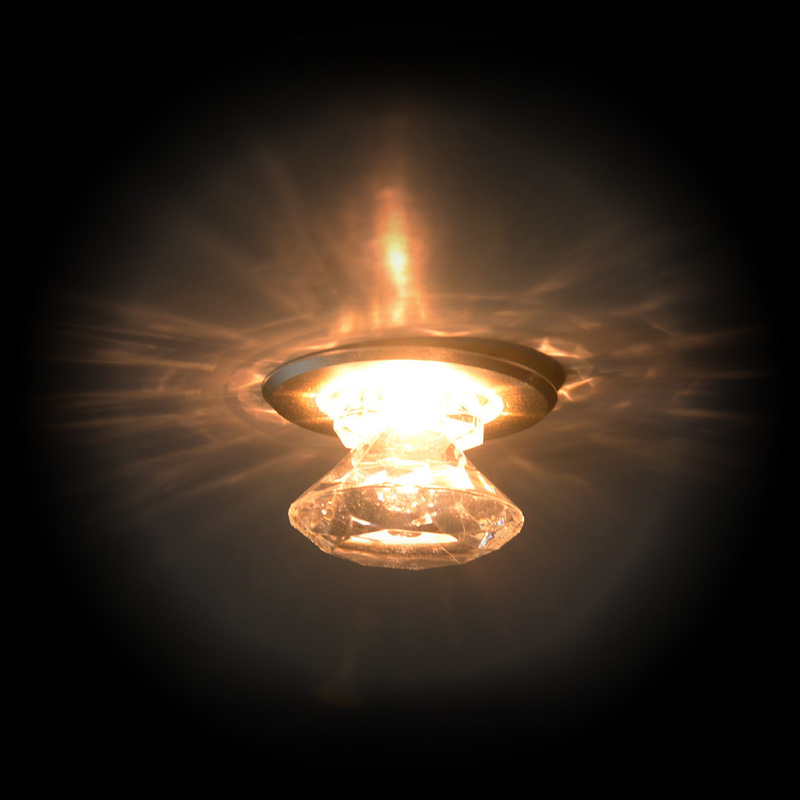 Instead of a hidden light source recessed into the body, the light source would be expressed outside the body of the fixture. The lens would take the form of a round cut diamond which would glow from within. The intention was to view the sparkle effect directly as well as the indirect crystalline reflections projected onto the ceiling, surrounding the ‘Diamond Light’. 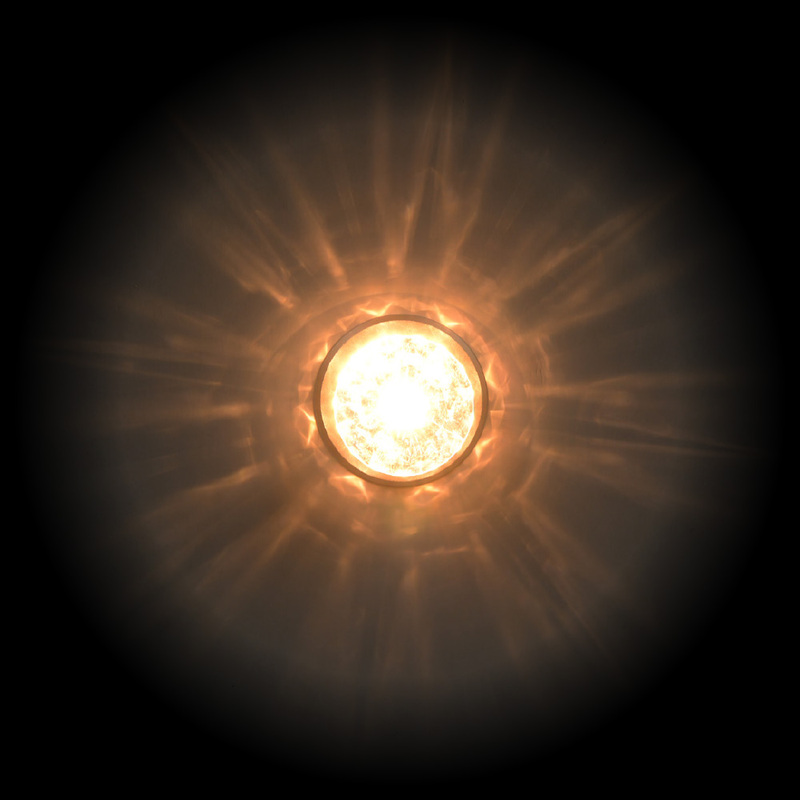 The fixture needed to be bright enough to overcome high ambient lighting and has the capability for animation so that the sparkling effect is palpable. The most complex task was to design the diamond lens. The shape of the crystal has two jobs to do, direct and indirect view light as well as the number and shape of the facets became complex. We also needed to obscure the LED light source itself. This type of optical modelling is complex, and the final shape was chosen after full-scale mock-ups were done using CNC machined diamond lenses. An injection mould was created and test mouldings were trialled for confirmation. The material for the lens had to be PMMA. This ideal polycarbonate is superior in purity to glass and UV stable. The ideal distance between the Single Cree LED had already been determined during the testing of the lenses so all that remained was to design the body of the new luminaire. We settled on a generous overlap for the flange so that installation would be simplified (the holes cut in the ceiling were not critical in size). The body was designed in CNC machined aluminium with sufficient surface area for ample cooling of the LED. 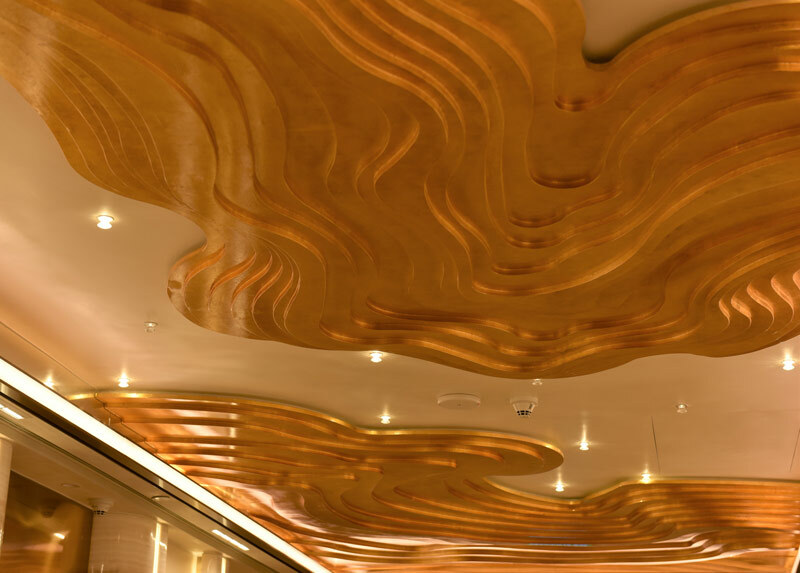 For the Star World project, the ceilings had a silver reflective finish and the Diamond Light was anodised in a matching colour. In future, many colours and finishes will be offered. To reduce the size and promote extreme reliability, no electronics have been placed in the lamp body and a remote illumination Physics constant current driver provides the direct current required. The driver has in-built programs for animation that can be selected manually; additionally, brightness, chasing speed and repletion can all be selected. Alternately, the illumination Physics Driver accepts DMX control. 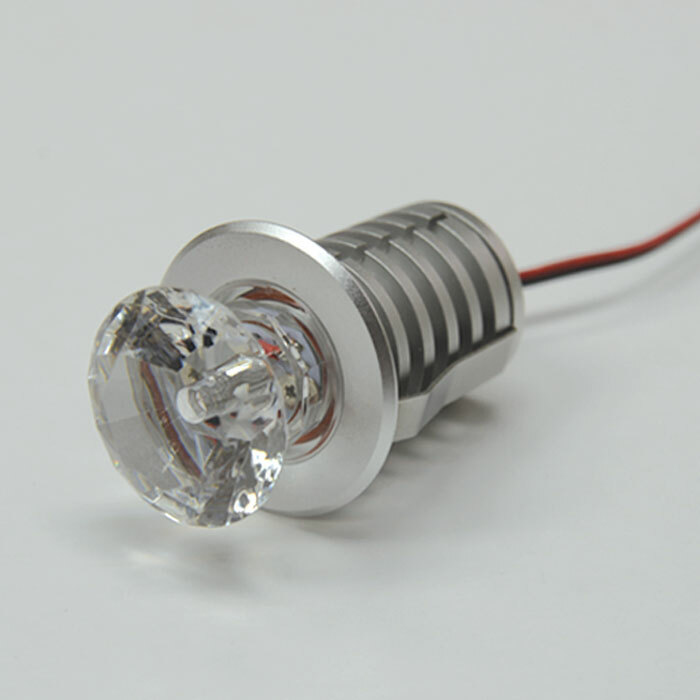 Up to 24 single colour Diamond lights can be connected to one driver depending on the desired grouping. 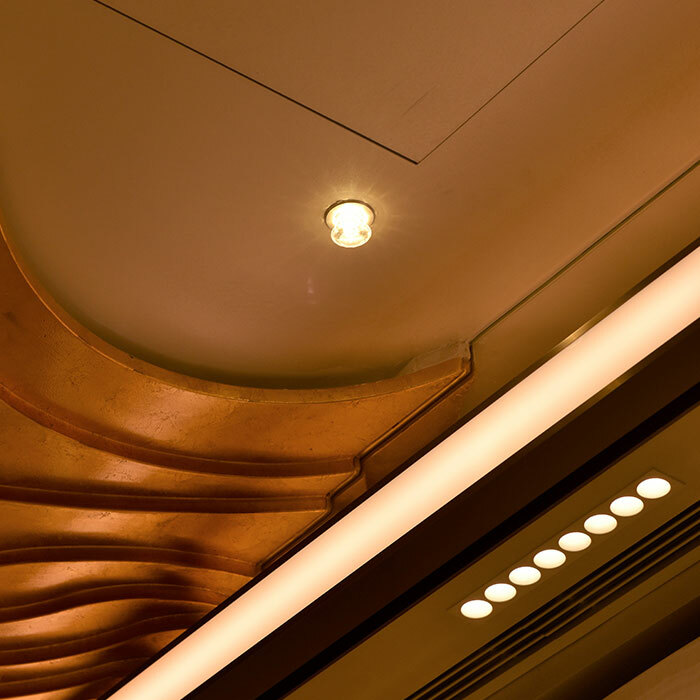 The Diamond Light luminaire is designed to create a spectacle overt sparkling ceiling. 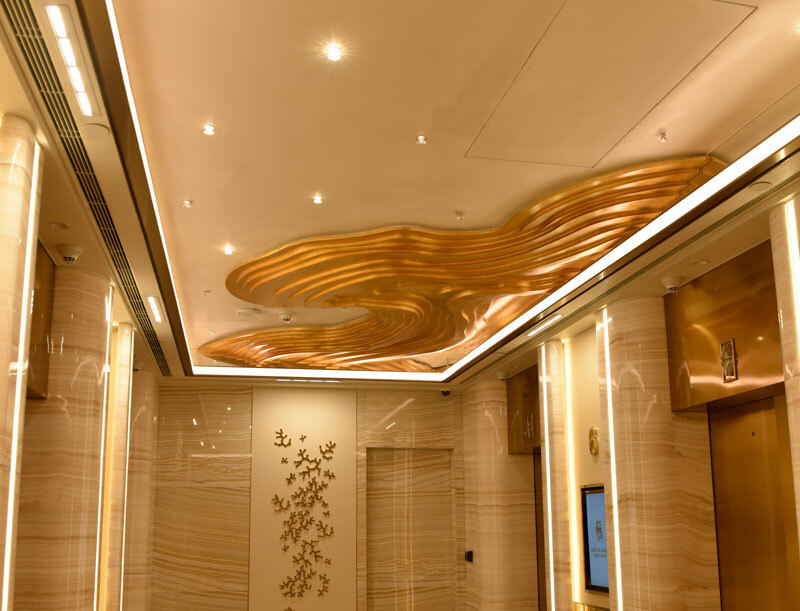 It is intended for the hotel, resort and gaming industry as an adaptable lighting effect available in the full range of colour temperatures or indeed, colour LEDs.